Struthidea cinerea Gould, 1837. 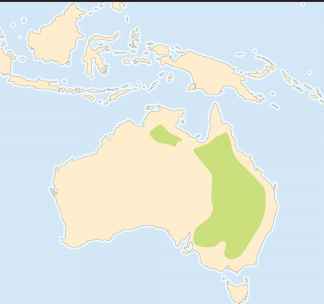 A smaller isolated population in the north of Australia may constitute a subspecies with birds that are slightly larger but with smaller bills than the eastern population. English; Gray jumper; French: Apôtre gris; German: Gimpelhäher; Spanish: Ave Apóstol. Mottled ashy gray plumage with brown wings, black tail, and a short, stubby, black bill. 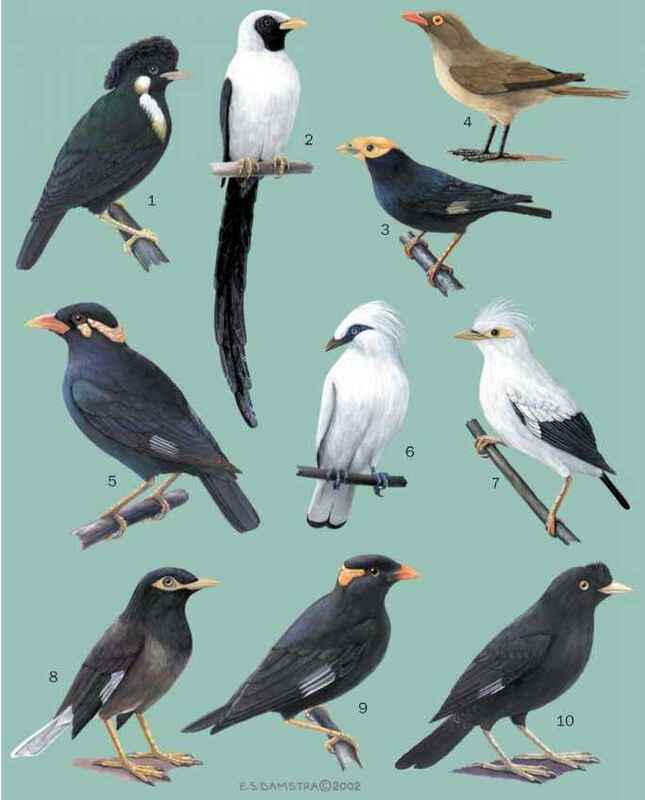 Males and females have similar plumage. Juveniles have fluffy plumage and brown eyes which change to gray after their second year. Adults are 11-13 in (29-33 cm) long and weigh 4-5 oz (120-140 g). Apostlebirds occur in the inland of eastern Australia, and in a smaller, isolated population in northern Australia. Dry, open forest with some water. Apostlebirds are gregarious birds, foraging, breeding and roosting together. Their name stems from the belief that they live in groups of twelve, though group sizes vary from about three to 20. Apostlebirds are sedentary, defending a territory during the breeding season and wandering further afield after nesting finishes, when groups may aggregate at sources of food or water. Apostlebirds are predominantly granivorous, collecting seeds from the ground and crushing them with their stout bills. They also eat insects opportunistically. Like other members of the group, apostlebirds build nests of mud. Graeme Chapman's study showed that family members share nest building, incubation, and feeding of chicks. Large groups may produce several broods in a single breeding season.